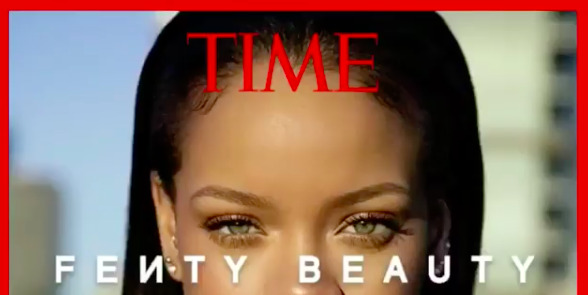 It has to be said again, that Rihanna reign just won't let up! In 2013 when her mother Monica Brathwaite presented her with the first-ever Icon Award at the American Music Awards, it was said by Bill Maher, "She has become, I think, the voice of our time. 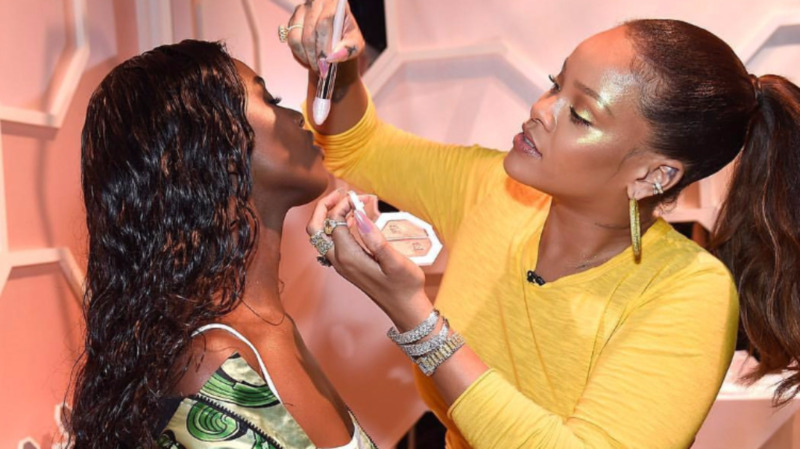 Over the past five years, Rihanna has added being one of the most sought-after fashion designers of our time and with Fenty Beauty, her makeup line, the genius behind one of the Best Inventions of 2017. 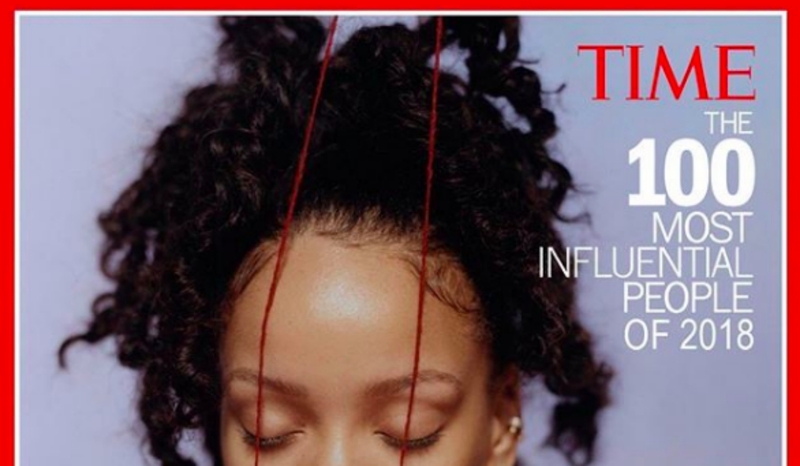 Therefore, it’s no shocker that she’s not amongst the Artists, but instead is shining bright like a diamond under the ‘Icons’ category of Time Magazine’s 100 Most Influential People in the World list. 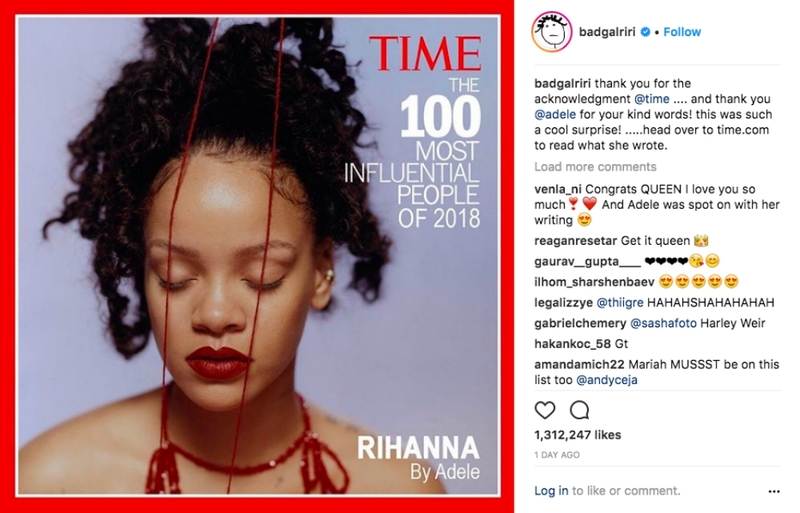 Barbados’ Robyn ‘Rihanna’ Fenty took the world by storm with ‘Pon de replay’ and crossed over into the hearts of many with her sound with ‘Umbrella’, according to fellow Grammy award-winning singer Adele. Adele since then like the sun shines forever, Rihanna has been blazing her own trail unapologetically. “I actually can’t remember the first time I met Rihanna; I was probably numb from the shock of it. She is one year older than me, but I feel like she’s been around forever. The progression of her superstardom feels steady, well deserved and extremely natural. She burst onto the scene with the absolute banger that is “Pon de Replay” in 2005, so young and breathtakingly beautiful. But the first time it felt like she made everyone sit up was with “Umbrella.” It crossed her over to every platform and into everyone’s lives. It felt like she had truly arrived, and she hasn’t slowed down since. Even more, she has designed and conquered an entire lane of her own. The innovative and groundbreaking world of Rihanna that no one else will ever be safe in and get away with copying. She makes her own rules and bends ours. The four categories were pioneers, artists, leaders, and icons. 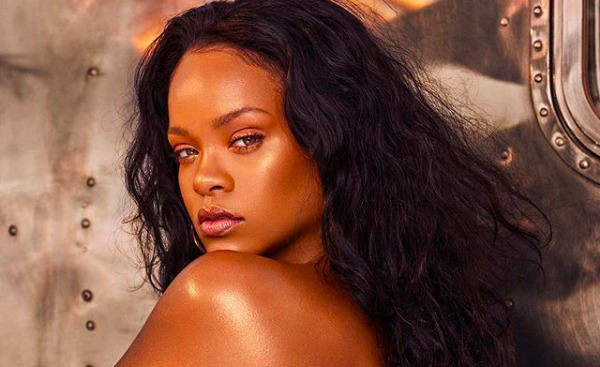 Sharing the iconic spotlight with Rihanna were some other entertainers including Jennifer ‘J.Lo’ Lopez written by Kerry Washington; Chadwick Boseman of Black Panther fame, by Sean ‘Diddy’ Combs and Kesha by Cyndi Lauper.